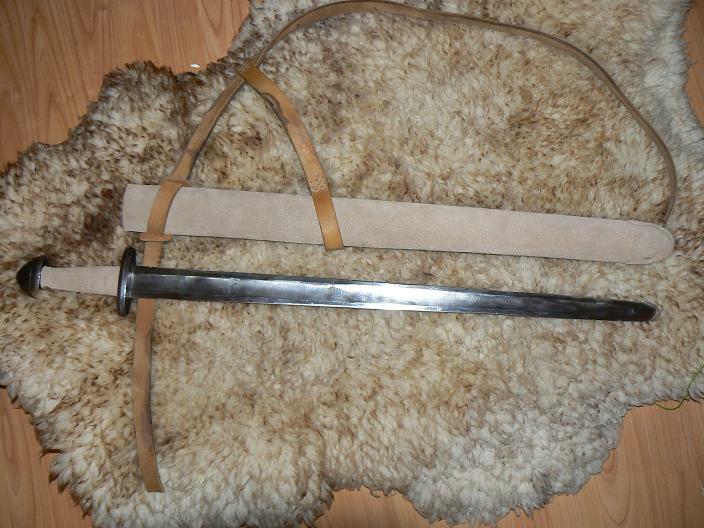 As part of my ongoing upgrading of my combat gear I decided to pay some attention to the old H-type sword I had - grip was almost falling apart, it had no scabbard at all and it was nicked all over - as blade had no tempering at all and had been used heavily during various events. 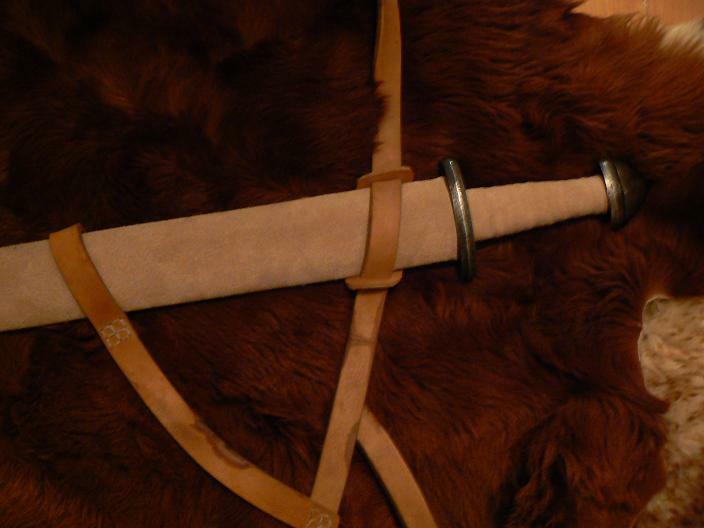 Long story short, I dismantled the handgrip assembly, replaced the former wooden core with iron wire, covered with linen cord and then with two layers of leather (upper layer being of the same sort of leather I used later on on the scabbard.) 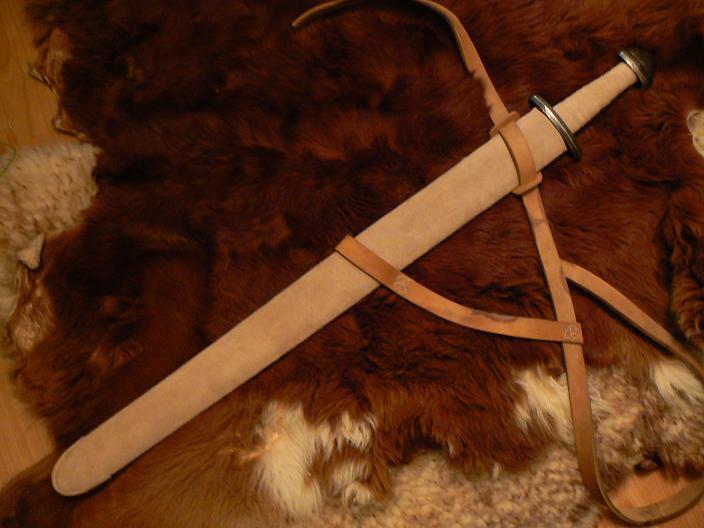 Scabbard is quite standard design - wooden core covered by leather with belt suspension. As of this moment I do not have appropriate belt buckle so the belt part is not fully finished yet.